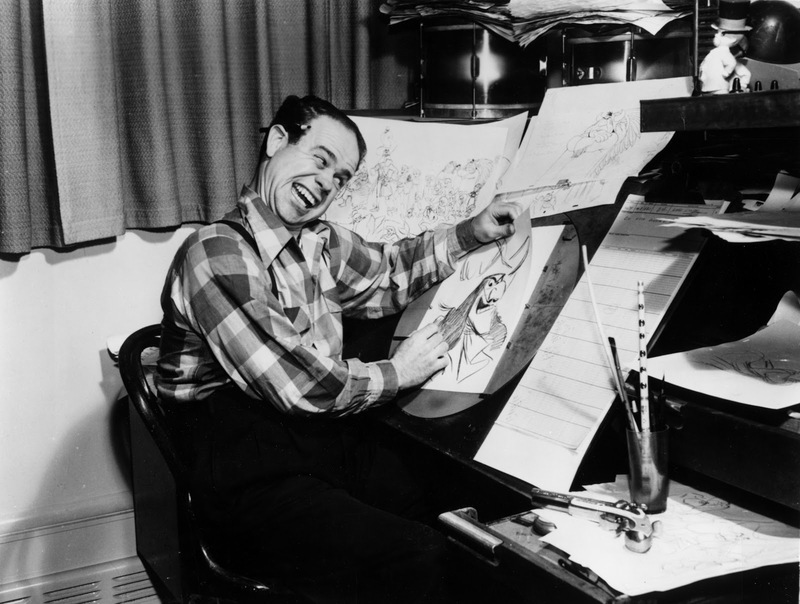 Who knows why Ward Kimball is drawing and grimacing Captain Hook, a character animated by Frank Thomas and also Woolie Reitherman. 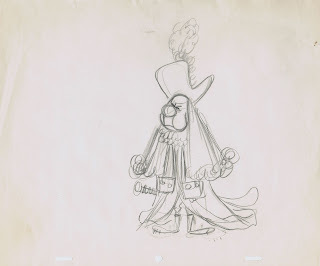 But it would be very interesting to see what his own take on this villain might have been. In "Peter Pan" Kimball was of course responsible for the brilliant animation of the Indian Chief as well as The Lost Boys. 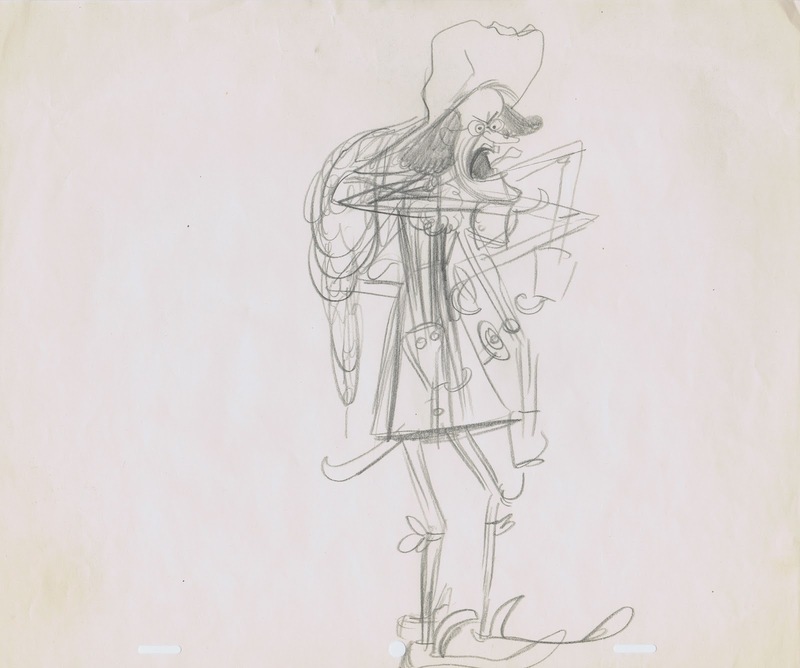 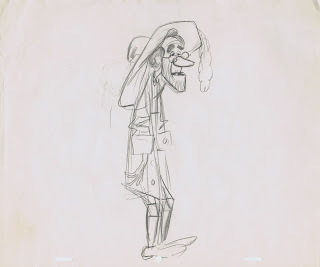 Most of you have seen Ward's caricatures of some of his fellow animators posing as Captain Hook (including himself). 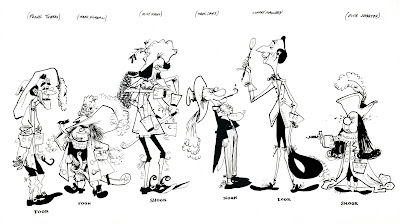 These were published in Frank & Ollie's "Illusion of Life". 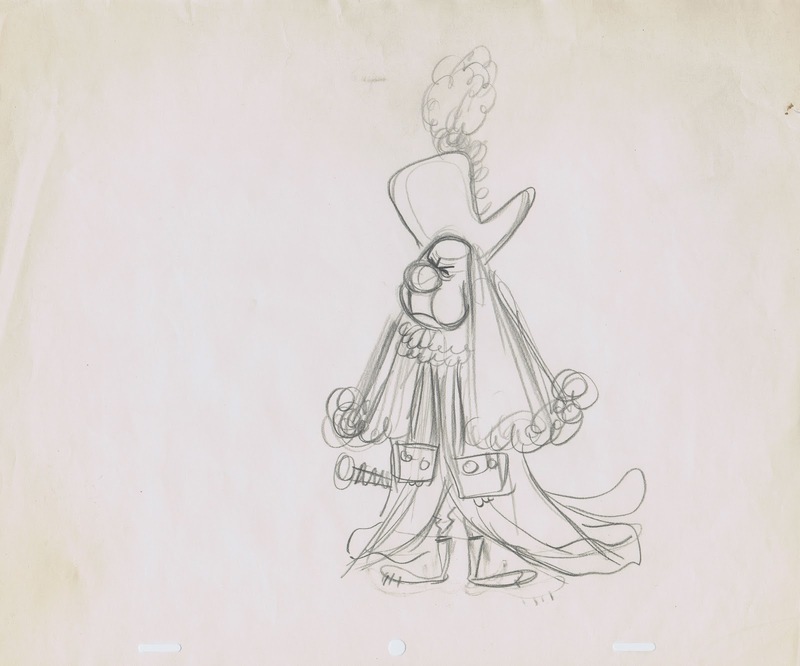 I came across Ward's rough sketches for Frank, Milt and Ollie, they were probably his first pass before he inked them later. 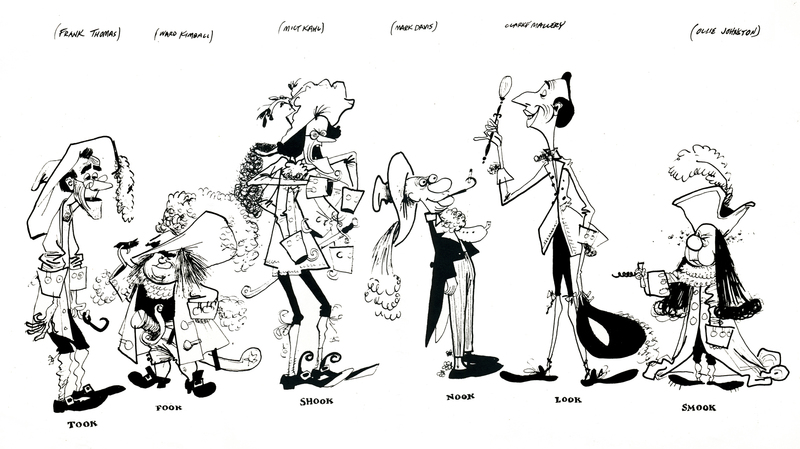 Cranky Milt is a favorite along with Ollie holding a corkscrew.